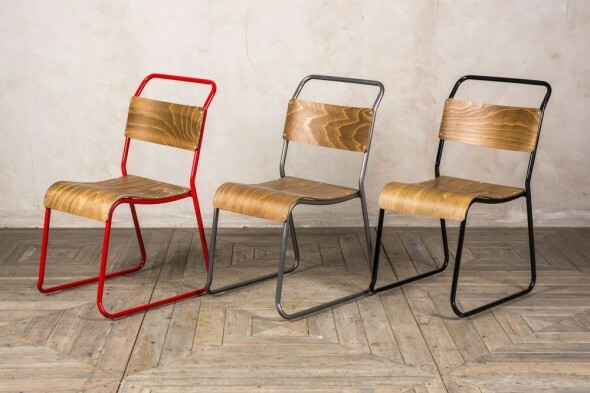 The price is for one chair, but more are available. 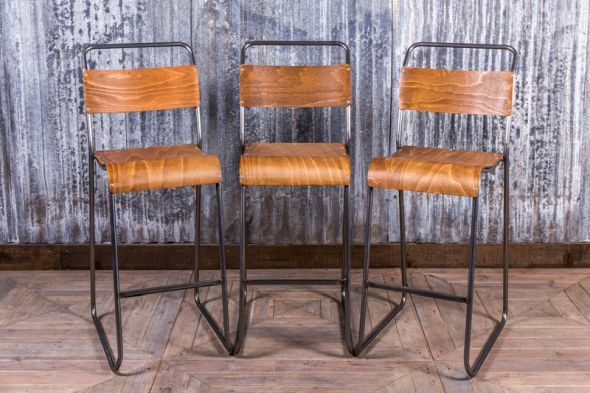 Don’t miss out on the opportunity to get your hands on these fantastic industrial stacking chairs. 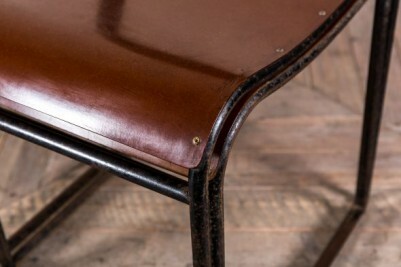 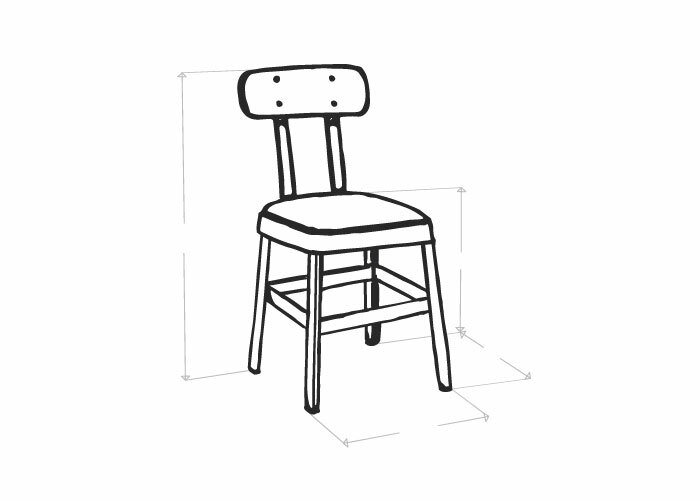 Each chair has a tubular steel frame, with a now aged and distressed black paintwork. 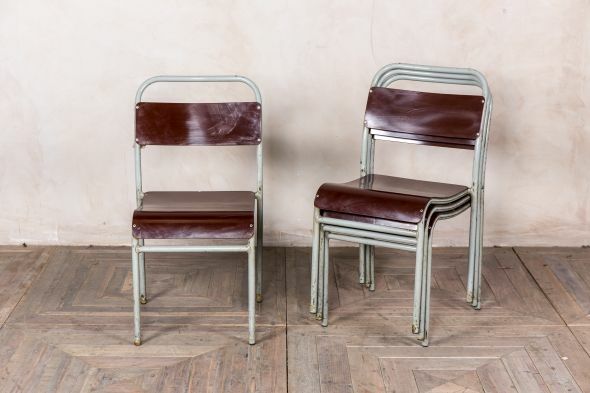 The seats and backs are made from Bakelite in a red/brown colour and, if purchasing more than one, the chairs can be conveniently stacked on top of each other for ease of storage. 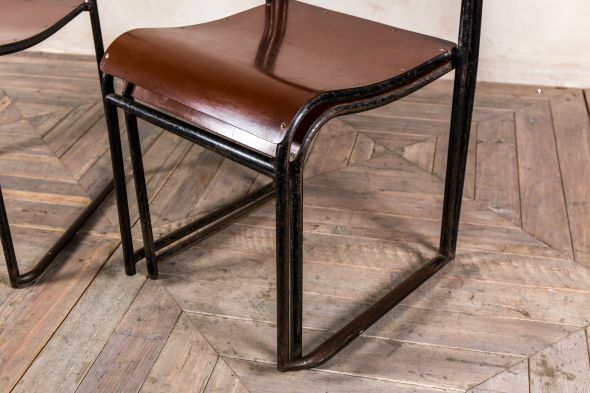 This style of chair is popular for homes and businesses alike; it’s a simple way to add vintage industrial styling to your interior. 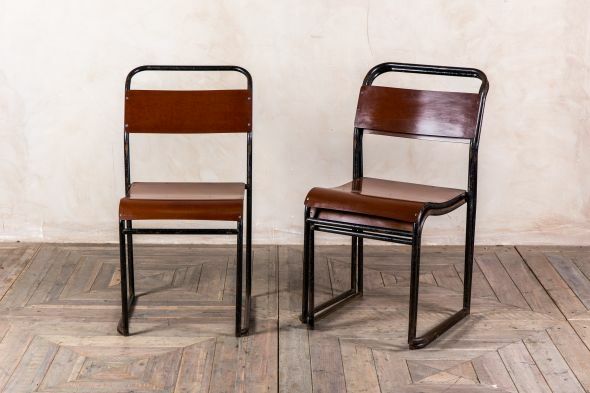 Visit our eBay store to browse our full range of original and reproduction stacking chairs. We have hundreds of chairs in stock in a variety of styles and colours! 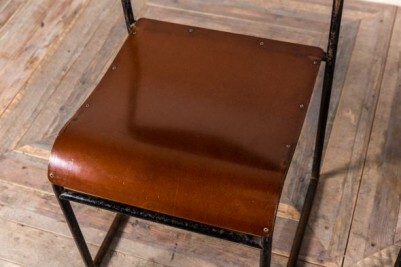 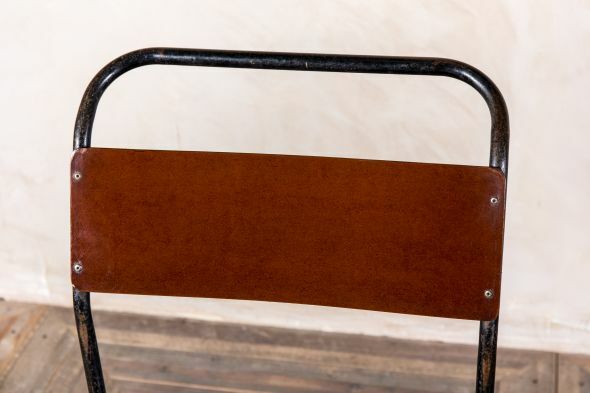 As these chairs are original vintage items, they will have some signs of general wear and tear, spots of rust to the frame and marks to the seat and back.